Meal times, with everyone sitting round the table, are a popular place to learn in our house. We talk about everything; numbers, letters, space, the ocean, Star Wars, all the popular topics! It usually starts with one of either Thomas or Jasmine asking a question, “What is 4 plus 5?”, “Is sweetcorn a compound word?”, “What is a Sith?”, or they tell us something they know and discussion starts and topics are explored. Recently counting in 2s has been popular. I introduced it a while ago and they have been exploring the idea ever since. Thomas can confidently count in 2s, starting at any number, as far as he has the patience for but today after breakfast it was Jasmine who wanted to demonstrate what she knew. She stood by the number chart and pointed out all the “counting in 2s” numbers starting at 2 and starting at 1. This led to a discussion about odd and even numbers and they loved this. 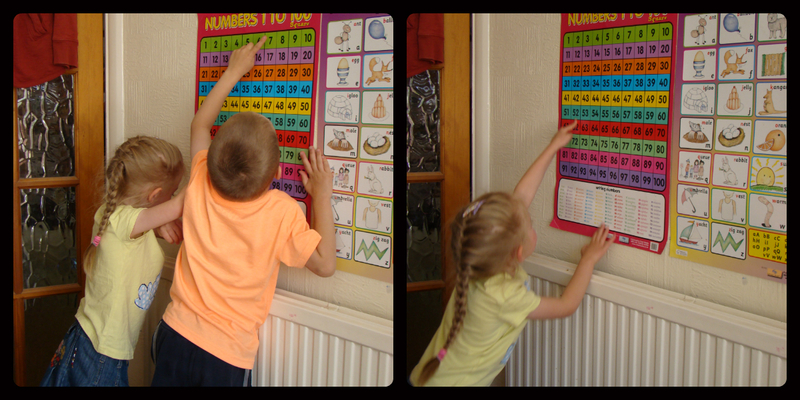 They both saw the pattern on the number chart and pointed to each number in turn shouting “odd, even, odd, even, odd, even…” you get the idea! Jasmine then wanted to count in 10s so she did this, then of course Thomas wanted a go and I asked him if he could count in 10s starting at 4. I wasn’t sure he would know how to use the number chart to do this because I have never shown him, but he did it all the way to 94 and then told me that the next number would be 104! They are both amazing me with their number/maths ability at the moment. Maths is one of those subjects that I do worry about because I don’t do anything formal or structured with them. They do Reading Eggs for reading so I don’t have to worry about that(!) but we don’t have anything for maths. Recently however they have shown me (once again) that I don’t need to worry. I signed up for a free trial of the new Mathseeds programme that the makers of Reading Eggs are bringing out. It says it is for ages 4 to 6 so I was hopeful that we could find it useful. Thomas and Jasmine took the placement test a few days ago to see what level they should start at and it turns out they know all the current available content so we must be doing something right! Jasmine especially surprised me with her knowledge and how quick she answered some of the addition questions. With no physical objects to count she answered “What is 2 more than 5?” and “what is 5 plus 4 more?” She loves addition at the moment and frequently will ask herself a simple addition sum and then answer it! The other thing both Jasmine and Thomas are enjoying at the moment is “spelling using words” Ever since the kids learned to sound out words Gordon and I have used the police alphabet (alpha, bravo, charlie etc) to spell things we don’t want them to hear, such as whether we should have ice cream for pudding! 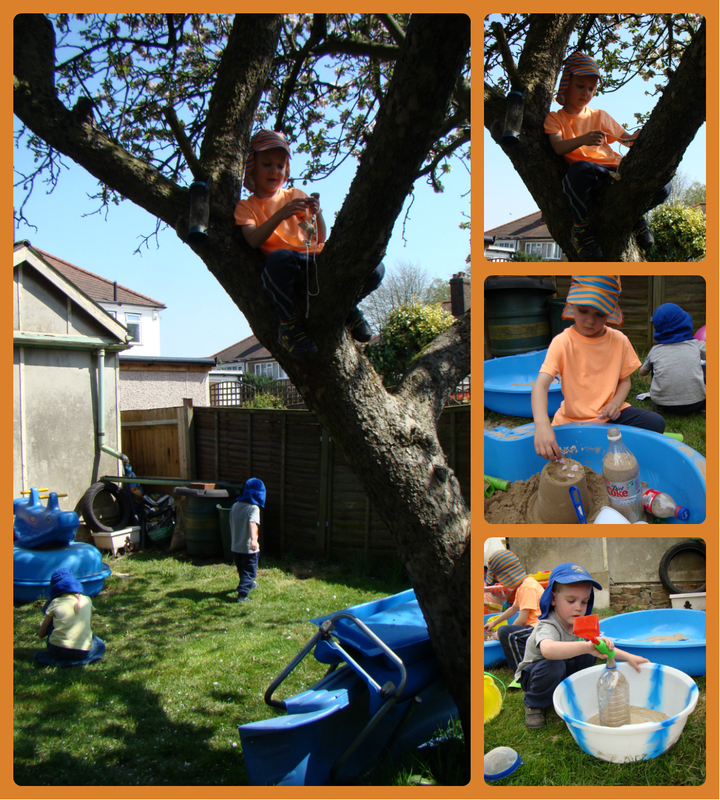 But they picked up on it the other day so we had to explain and now they will spend ages doing it themselves! Obviously they don’t use the police alphabet but use other words instead and its great listening to what they come up with! A few days ago Daddy was Dug Apple Dirty Dark Yuk! and yet have learned so much!